For many years I felt as though I was working in many seemingly disparate disciplines. I was making artwork about the landscape, teaching studio art in the university, singing and performing music, doing sound healing, facilitating women’s healing retreats, storytelling and facilitating ritual. One day, I had an an ah-ha moment when I realized that the thread that bound everything together was STORY. When I am making paintings, I am telling visual stories of the land, when teaching, I am calling out the potent visual stories of my students, when singing and performing I’m telling mythic sound stories, when doing healing work I invite deep shifts in long-held patterns and stories, when facilitating ritual, I invite participation in sacred stories, myths and archetypes. When I finally saw how this story-thread weaves all of the my work together, my vision became clearer, and the Studio of Mythic & Environmental Arts was born. Ultimately, no matter what I am teaching or facilitating, my goal is to hold a space for my students to mine the deep well of the imagination, where creative vision and authentic soul-stories live. I am passionate about the Earth and Her creatures and believe that the more we emmerse in wild nature, the closer we are to our own wildness, our wisdom and our authentic, creative voice. When we remove ourselves from the culture-stories and remember our essential selves, we find peace, see the beauty in all things, and relate to others and the more-than-human world with authenticity. In this place of connectedness, from the wellspring of our wild imaginations, creativity, inspiration, art and poetry flow. Here at the Studio of Mythic & Environmental Arts, all of the threads of my work are woven together to create an educational program that explores the many ways of making art, individually, in a class or workshop, or on a retreat. 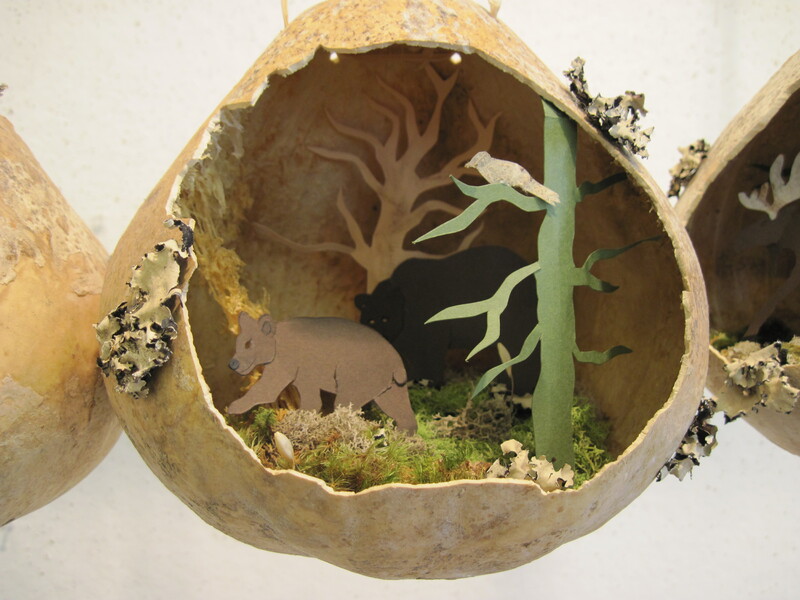 The quiet beauty of the forest, combined with the rustic art and nature filled house and studio, inspire creativity. Student artwork. 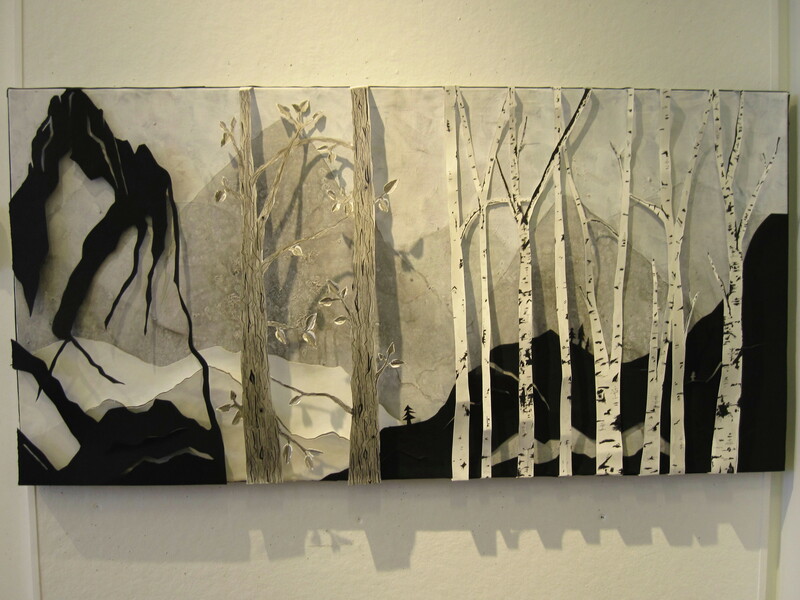 Above: “Forest Papercut”, by Kaitlyn Stuck. Left: “Landscape”, by Sarah McNamara. Below, “Gourd Series”, Nina Haglund. 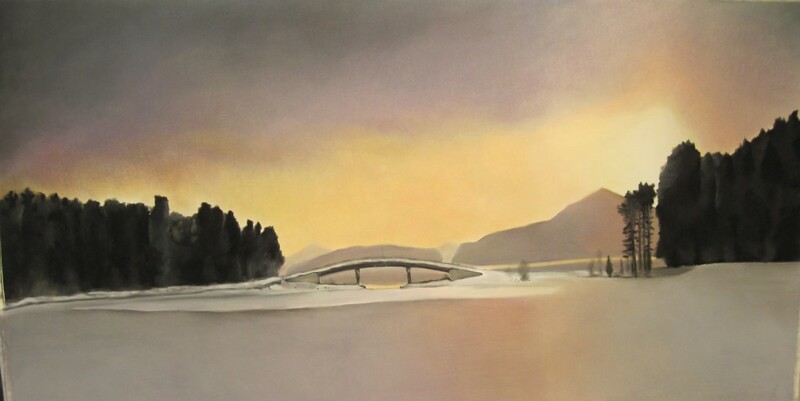 Drawing, Painting & Mixed-Media ~ With many years experience teaching a wide variety of mediums, Valerianna invites her students to experiment with mediums to find the one that most supports the artistic concept of their work. 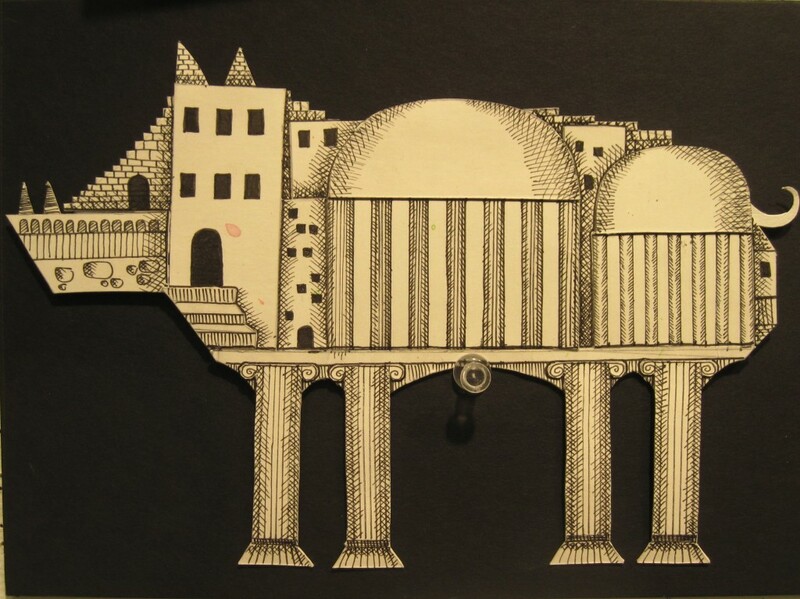 Drawing techniques include pencil, charcoal, pen and ink, scratchboard, paper cut and the use of found objects as surfaces and materials. Painting techniques include watercolor, acrylic, and oil painting (with advanced students). Though these are the mediums most frequently used, many students explore other techniques with Valerianna’s guidance such as drawing on fabric, natural dyeing, sewing, sculpture – anything that can make a mark, line, color or hold a form! Nature & Environmental Arts ~ With the forest at our fingertips, RavenWood is a wonderful place to learn about the natural world while wandering the woodlands with a sketchbook or camera, and collecting objects for drawing and mixed-media. Valerianna has been learning from the natural world since her childhood, studying natural processes, learning to identify flora and fauna, and studying the behavior of the woodland creatures. 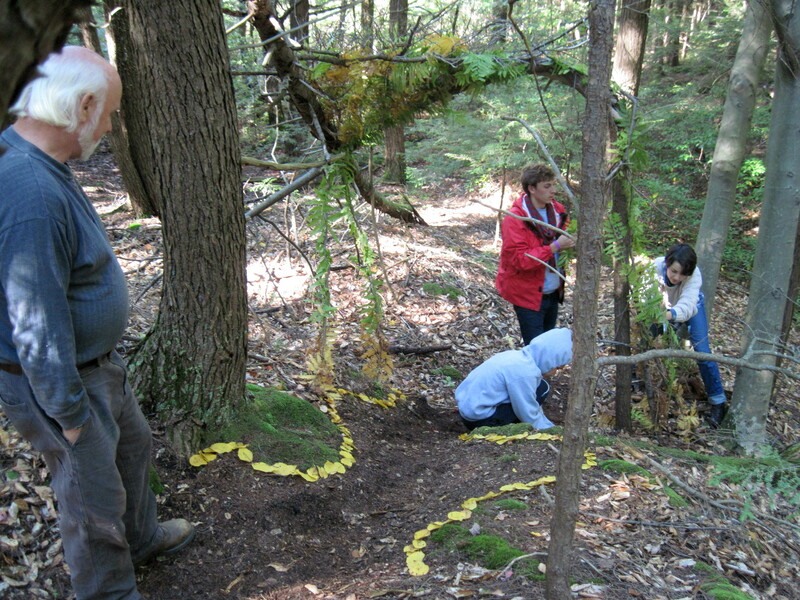 In a nature or environmental art class, students study the exquisite forms and patterns in nature by observing the forest forms close-up, looking at the repeated patterns in the microcosm and macrocosm, and working on the land itself using a variety of techniques including site-specific sculptural installations with natural materials. Individual Art Instruction ~ Valerianna offers private art instruction in all levels of ability and experience. Sessions are catered to individual needs both materially and conceptually. Visit the Summer Drawing Class page and the Retreat and Workshop Calendar page to see a schedule of classes, workshops and retreats. Contact Valerianna for additional information on classes and for rates for individual art instruction and mentoring.